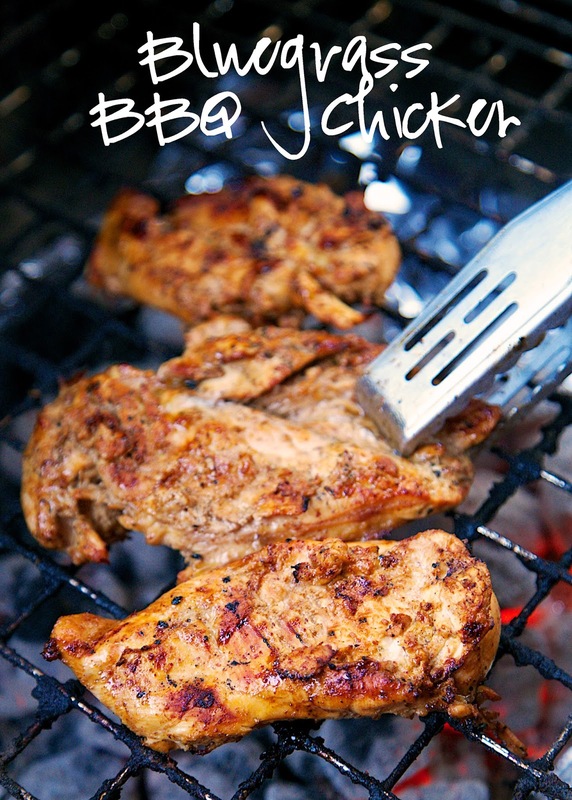 Bluegrass BBQ Chicken Recipe - chicken marinated in a tangy vinegar based bbq sauce - Seriously one of the best grilled chicken recipes we've ever made! Make extra chicken for leftovers - you're going to want it! This was one of the best grilled chicken recipes we've ever made. Seriously! It was SOOO good. We actually made this two days in a row. We just couldn't get enough of it. We grilled extra chicken the second night so we could eat it leftover for lunch. YUM! The chicken marinated in the refrigerator for 8 hours. I whisked it up when I got up in the morning, but you could also mix it up before you go to bed and let it marinate it overnight. I believe the longer the better! We served the chicken with some green beans and my favorite skillet corn. Summer on a plate! 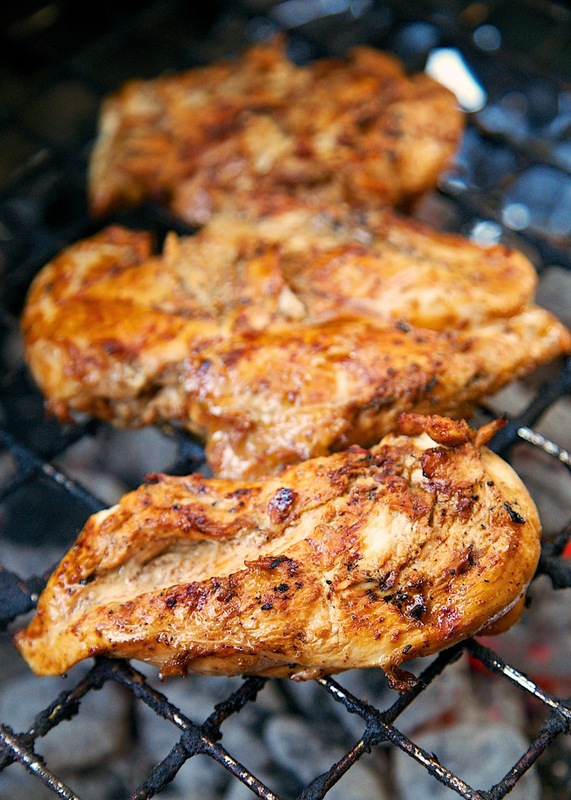 Place chicken in a ziplock bag, pour cooled marinade over chicken and refrigerate for 8 hours. Remove chicken from marinade. Grill chicken for about 8 minutes per side, or until done. As someone who currently lives in the Bluegrass state, this recipe caught my eye. But I'm curious what makes this chicken "bluegrass"? Where's the bourbon? :) It does sound delicious. Ah, that makes sense. I guess I just think bourbon when I think bluegrass and Kentucky. :) And I did see your derby recipes. I'm definitely going to try the bourbon pound cake. For the mustard is it 4oz or 8oz? Thanks for responding. Mix together all ingredients in a plastic storage bag. Add chicken. Refrigerate several hours. We made this a couple of weeks ago and just loved it! I didn't have any ACV in the house, but had everything else, so I just used regular vinegar and it still turned out great! Making it again this week, so I will be sure and put ACV on my grocery shopping list! Thanks for another wonderful recipe! This chicken is incredible. It has such a wonderful flavor. If you're worried about the horseradish mustard being spicy, trust me, it is not at all when used in this recipe. The horseradish mustard gives a great bold, tangy flavor to the chicken. So, so, so good! My kids loved this chicken too! I served it with a Caesar salad and your Roasted Green Beans and Mushrooms.